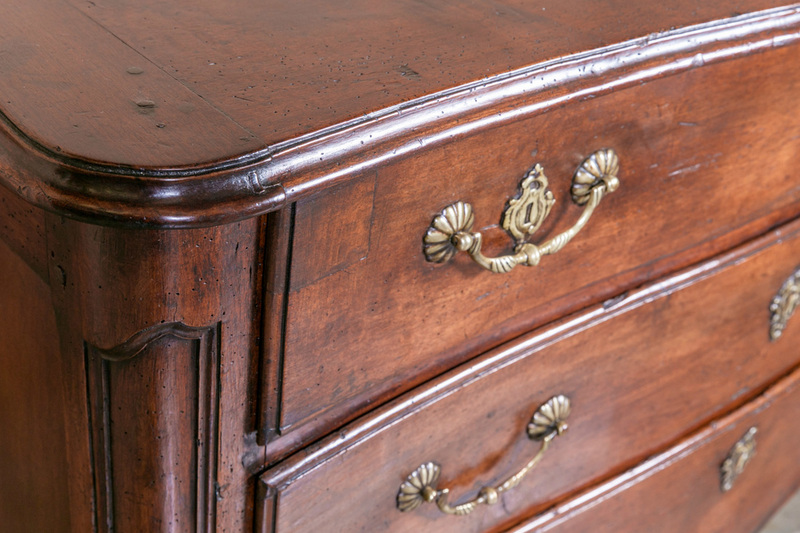 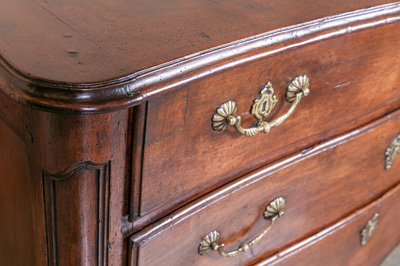 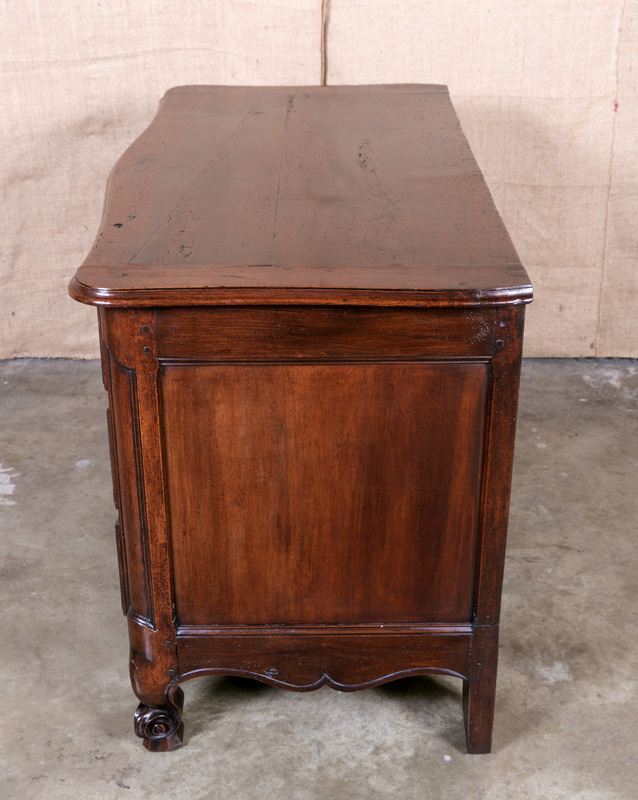 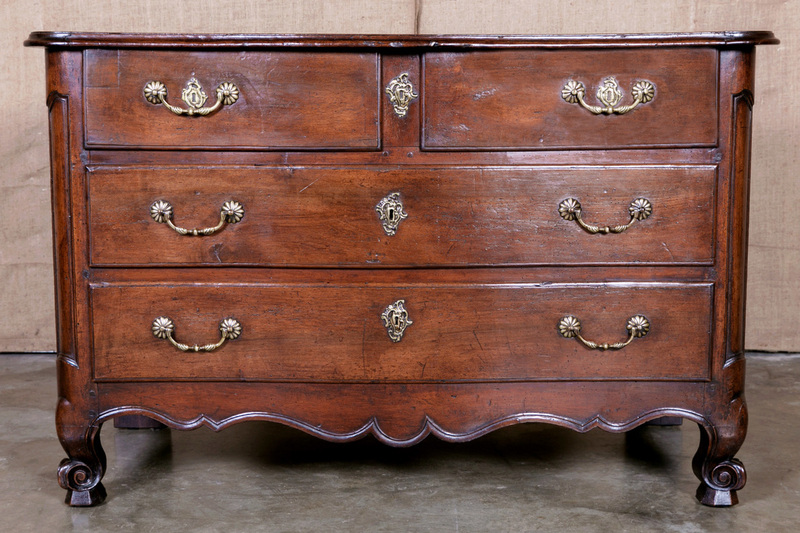 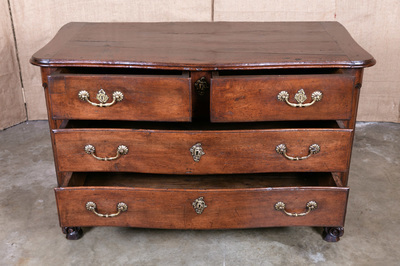 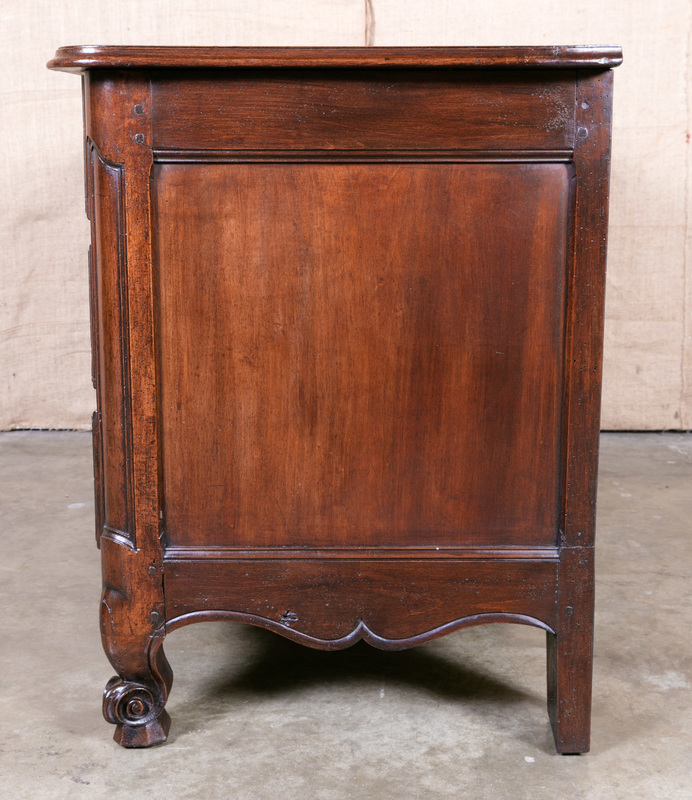 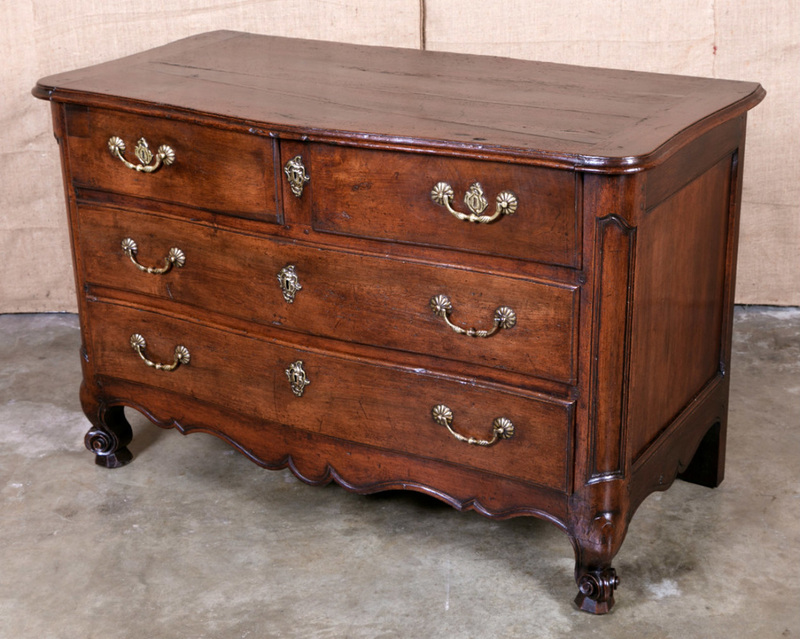 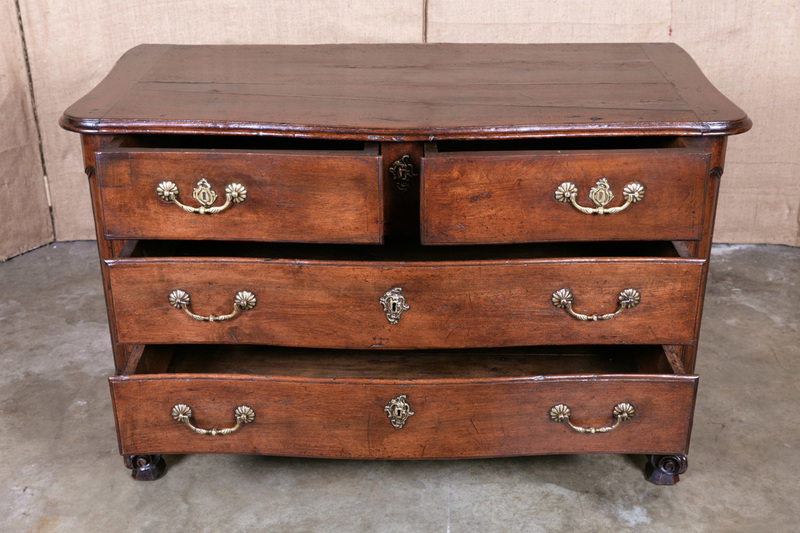 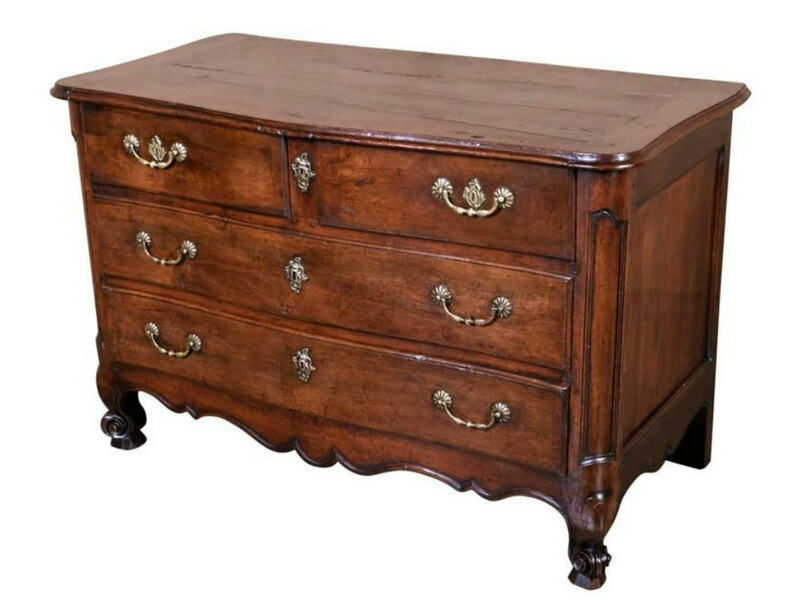 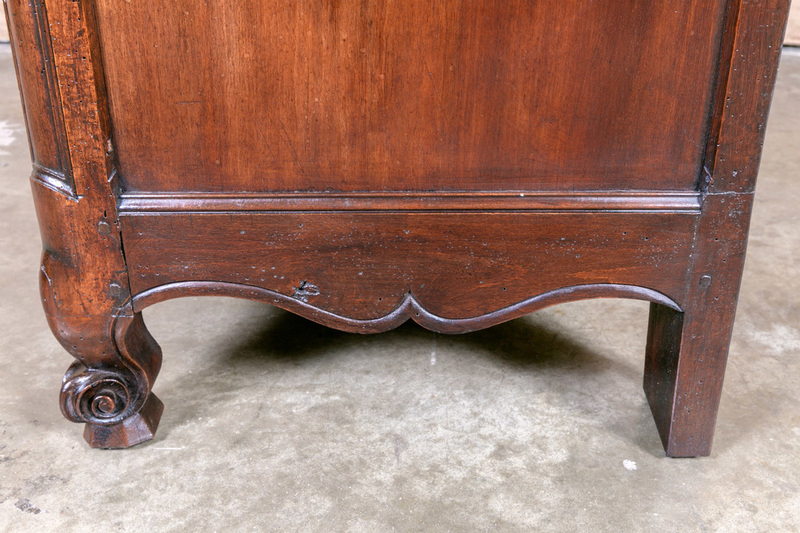 Lovely 18th century French Louis XV period commode de port handcrafted of solid walnut by skilled artisans from the Bordeaux region of France. 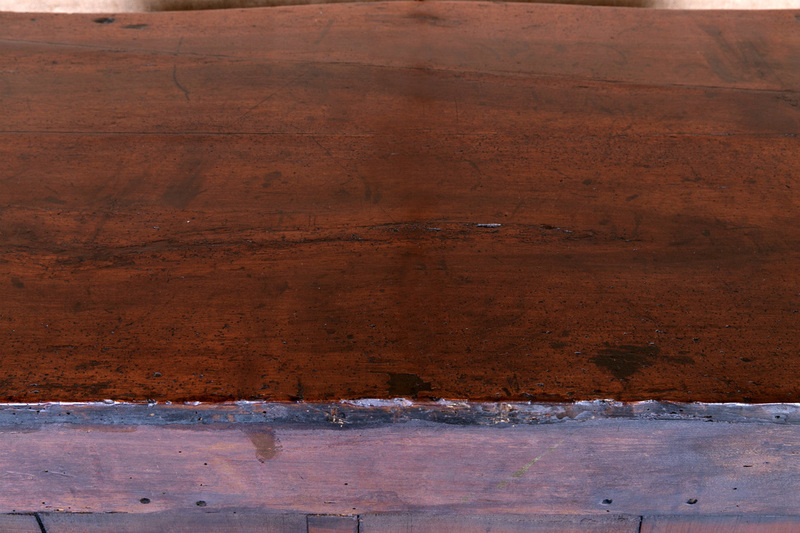 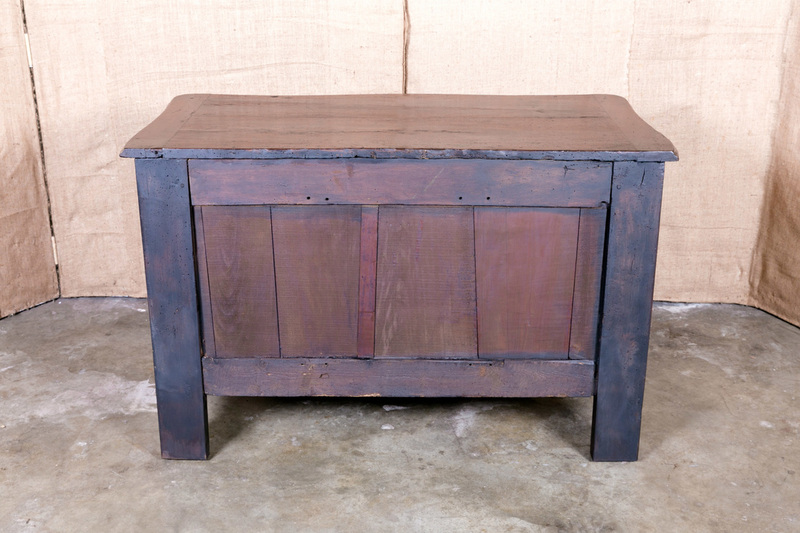 The arbalète shaped top displays the warm and rich patina found throughout. 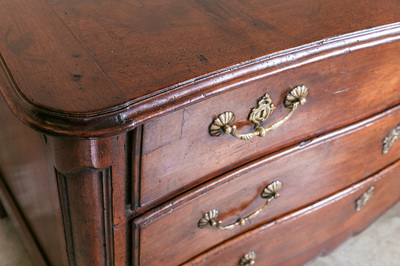 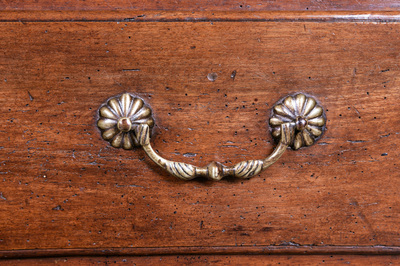 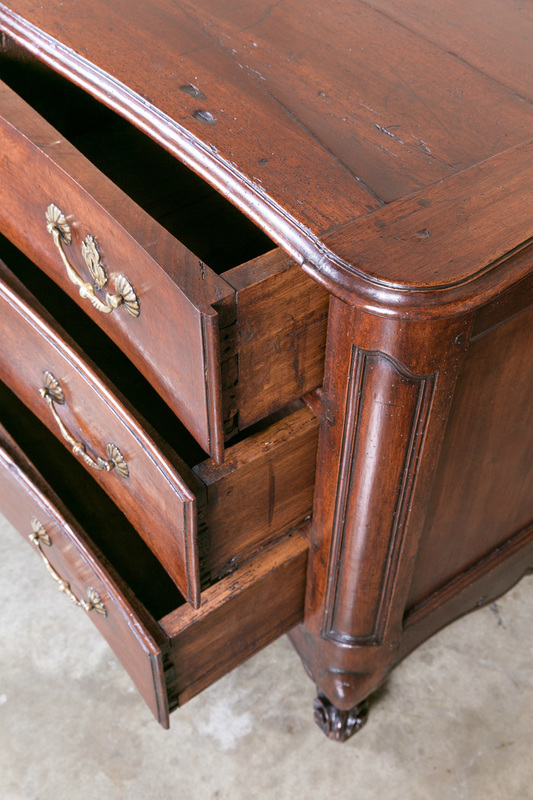 Four drawers, two larger below two smaller ones, each with original gilded bronze rosette hardware. 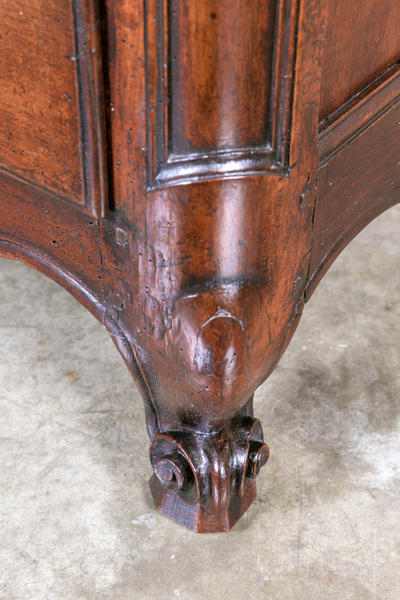 Shaped apron with scrolled carvings rests on short cabriole legs ending in scrolled French toes on pegs. 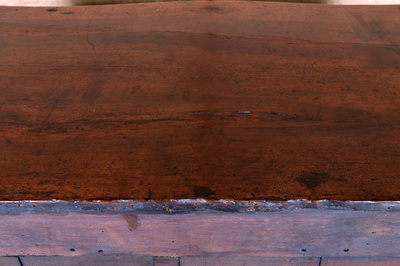 During the 18th century, Bordeaux was a wealthy port city that promoted trade with Africa, the Caribbean and America. 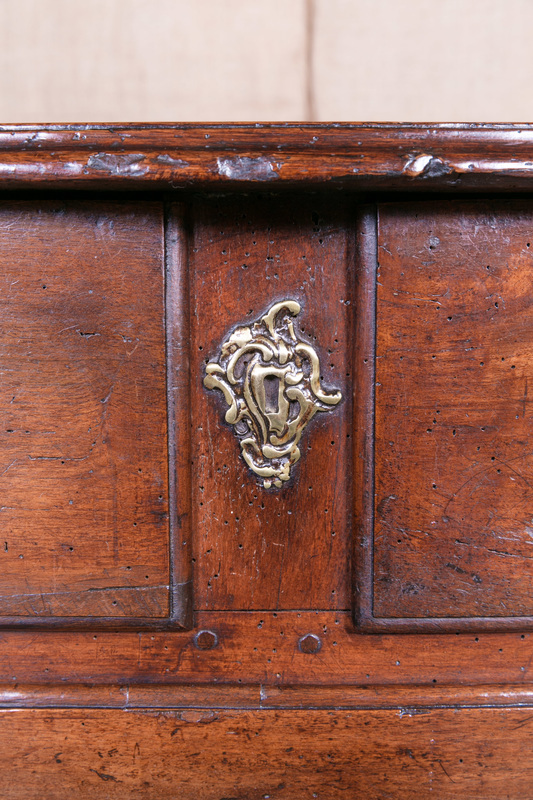 Ship owners, slave traders and merchants there owned beautiful mansions, hotels and castles that needed fine furnishings. Taking advantage of this, local cabinetmakers created meubles de Port furniture that appealed to this newly moneyed merchant class. 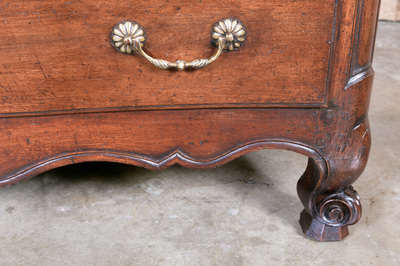 Commodes were large in size to adapt to use in hotels and were strongly curved, richly carved and moulded with almost no marquetry at all. 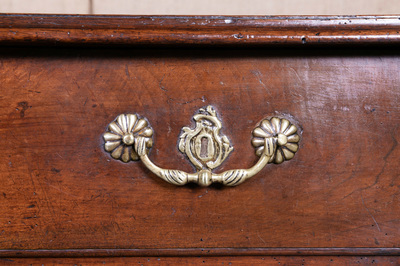 The ornamentation was mostly floral with fluting and tendrils of feuillage (foliage) and the legs were scrolled. 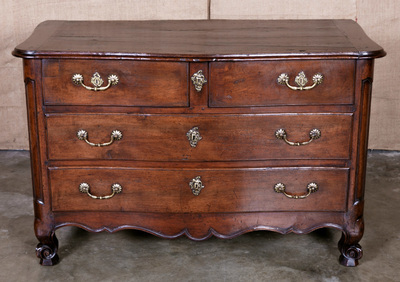 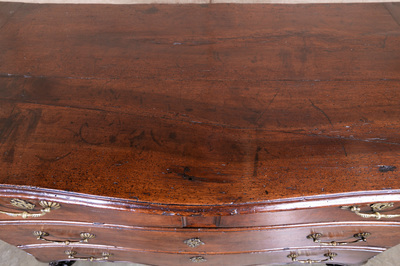 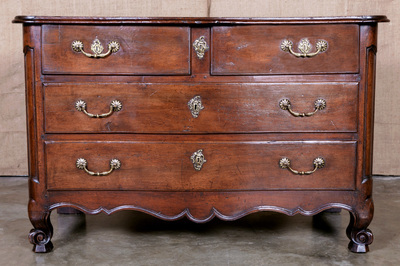 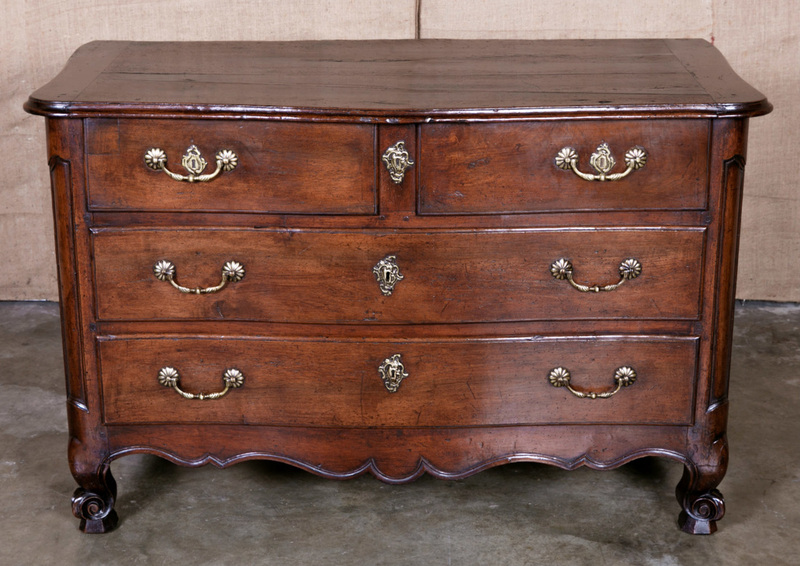 This is an exceptional example of an 18th century commode de port Bordelais.